Each week, we ask five of our sportswriters five questions about Ohio athletics. Their answers may surprise you. This week, we talked to sports editor Alex Hider, assistant editor Katie Hendershot, and basketball writers Corbin Bagford, Bez Saciri and Jack Zink. 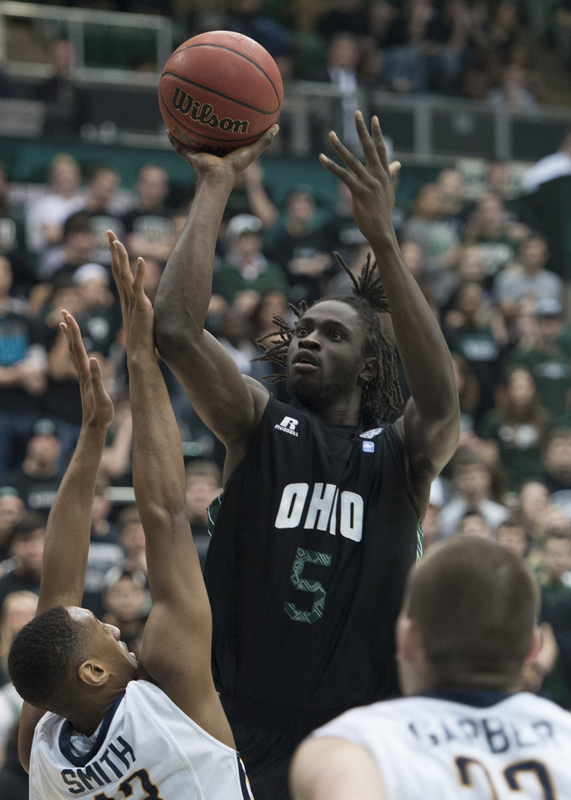 Transfer Maurice Ndour has made an impact for the Bobcats this season. Who has been your surprise player of the year for the basketball team? Alex Hider: I’m going to go with Travis Wilkins. Though we’ve been seeing him do it for two seasons now, he’s always the unassuming guy off the bench that teams tend to forget about. Any player who shoots 40 percent from three off the bench is a huge weapon. Katie Henderhsot: For me, Maurice Ndour has been the surprise player of the year. He’s been one of the biggest contributors to the team this year. He’s an interesting and dynamic player to watch and the nickname “Nature Boy” only adds more to it. Corbin Bagford: I don’t know how you can’t pick Travis Wilkins. The sharpshooting senior has stepped up recently and is now a force to be reckoned with on the offensive end. He’s averaging 11 points per game in his last five outings. Bez Saciri: Simply because of the unknown factor, I have to go with Maurice Ndour. Ndour, a junior forward from Senegal, has been scoring and rebounding at a high level this season. Without him, Ohio would not have a chance to compete for the MAC title and automatic NCAA Tournament berth. He has to continue his stellar play if Ohio is to be considered one of the favorites to win the MAC Tournament. Jack Zink: Travis Wilkins has definitely been the biggest surprise this year. Every since Ricardo Johnson went down, Wilkins has seen his minutes and his production go up. Not only has been shooting well, but he has been defending and rebounding at a very good rate, too. Softball pitcher Savannah Jo Dorsey pitched a no-hitter this weekend. Is this the start of something big for the team? Hider: While no-hitters in softball are much more common than baseball, it’s still an amazing feat. And while it’s February, and optimism abounds, you have to feel good about the softball team. Any team that can defensively hold a 1 run lead in a high-pressure situation has to have a certain swagger. Hendershot: I do think the no-hitter is a sign of good things to come. Beyond that, the team is undefeated so far. A no-hitter just adds fuel to the fire and gives them good momentum heading into the season. Bagford: I think the most significant part of Dorsey’s no-no is the fact that it was a 1-0 game! As if the pressure of a no-hitter wasn’t enough, she had to be thinking that one mistake pitch could tie the game up. The team has yet to lose, and I think the no-hitter played a key role in building this momentum. Saciri: I think it is. In Dorsey, Ohio softball has a legitimate ace. It has gotten off to a hot start, but every team goes through some sort of slump. If the slump is small, Ohio could win the MAC Tournament. The key question: can Ohio replace Lauren Gellerman’s offensive production? Zink: So far this season, they haven’t lost a game and the no-hitter should definitely be the beginning of a special season. 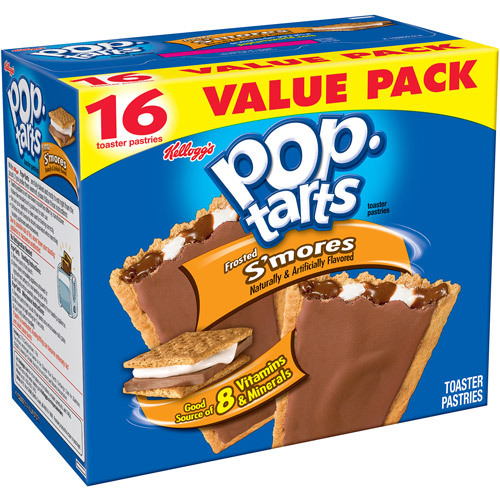 What is your favorite flavor of Pop-Tart? S’mores are the unofficial Pop-Tart flavor of Speakeasy Magazine. Hider: As good as chocolate-flavor Pop-Tarts are frozen (don’t knock it until you try it), I really prefer the fruit flavors, especially cherry. Also, don’t sleep on unfrosted Pop-Tarts. They’re sneaky good. Hendershot: S’mores. I love anything s’mores. Bagford: I’ve never been much for the fruit flavored Pop Tarts. S’mores is the way to go… especially if you have a toaster. Saciri: I would have to say cinnamon. I’ve loved that flavor since I was in grade school. Zink: That’s a tough one, since there are plenty of great flavors of Pop-Tarts. But, if I had to pick one, I would say cookie dough. The women’s basketball team hasn’t won a game in over a month. What’s wrong with them? Hider: When this team was playing its best basketball, they were scoring 70, 80, 90 points per game. Throughout their current losing streak, they haven’t scored more than 64. Once they start putting the ball in the hoop, they’ll start winning games. Hendershot: MAC play has certainly not treated the women’s basketball team well. This is just a young team playing under a new coach. Bagford: They simply just can’t hit shots. The Lady Bobcats are dead last in the MAC shooting just 35 percent from the field. To add to that, their opponents are shooting a MAC best 43 percent. Saciri: The team is too young. Also, in the earlier part of the year, Ohio played some of the easier teams in the MAC. Mariah Byard’s injury did not help the team, either. Despite the losing streak, I think this team will start to win more often in the next year or two. Zink: They have a had a rough stretch of opponents over the last couple of weeks and I that has been a major part. Mentally, I think it has been in their head as well. Once they get a win, I feel like they will get back to the way they were playing in the beginning of the year. Hider: It has to be hockey. It’s like a tournament of 16 All-Star teams, but every player is giving 100 percent. It’s like Olympic basketball, with an even playing field. Skeleton is a distant second. Hendershot: I hate to be stereotypical here, but I love watching ice skating. But also, let’s be honest, who doesn’t love some curling? Saciri: I’ll say hockey. I’m not that much of a fan of the Winter Olympics, and hockey is the one game I see on TV on a regular basis. Curling is fun to watch, but I like seeing the best players in the NHL going head to head.